Experience: M.Com (with accountancy in B.Com) plus 2 years of working experience in Govt./Semi Govt. Organization and one year diploma in computer application from a reputed institute. Additional experience and qualification will be preferred. Experience: Graduate with knowledge of noting and drafting and one year experience on Govt./Semi Govt. organization with knowledge of typing and having speed of 35 w.p.m. in Hindi and 40 w.p.m. in English and knowledge of computer. Experience: High School from recognized Board/School and 02 years working experience in Hospital/research institutions. Application and testimonials along with demand draft of Rs. 500/- for General and OBC Category candidates and Rs. 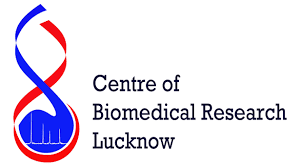 250/- for SC and ST category candidates and should be sent in favour of "The Director, Centre of Biomedical Research (CBMR),SGPGIMS Campus, Raibareily Road, Lucknow-226014," latest by 10.04.2018. The Demand Draft should be in favour of "Director, CBMR, Lucknow", payable at State Bank of India (Code No. 7789) SGPGIMS Branch Lucknow. The name of post applied for and Advertisement No. should be indicated on the top of the envelope. Director reserves the right to reject any or all applications without assigning any reason.